Establishing a power of attorney enables another individual to make decisions on your behalf. 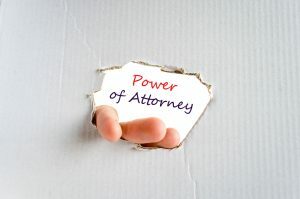 Depending on the specifics of your unique concerns, a power of attorney can be tailored to particular situations, such as when you become incapacitated or can exist from the moment that it is signed. 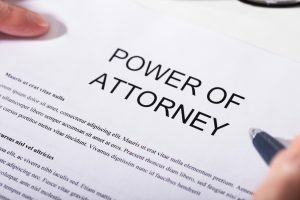 Revoking a power of attorney raises unique legal questions. 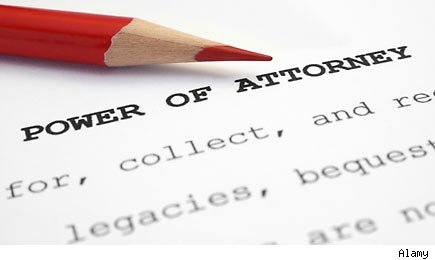 Many people who have established a power of attorney might be curious about whether or not they can set up a power of attorney and ultimately take it back in the future, particularly if they no longer trust the individual who is established as the agent or if that person no longer wants to serve. 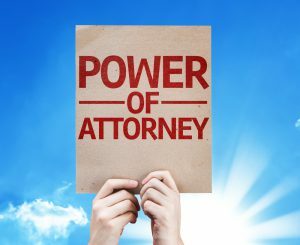 A power of attorney document can be revoked if the principal executes a written document identifying the power of attorney and requesting that it be revoked. The attorney in fact or agent who has been established with the power of attorney also must receive actual knowledge about the revocation. Until he or she gets that actual knowledge, the revocation does not become effective. Sending the revocation letter via certified mail with return receipt requested is strongly recommended and it is a good idea to follow up and ask whether or not a power of attorney revocation has been received by the agent. This information is important for carrying out the full revocation of a power of attorney and verifying that you are eligible to establish a new power of attorney as soon as possible. A power of attorney is a vital estate planning document, but you need to know how to maximize its benefits as well as the limits. In a power of attorney document, you are the principle and name one or more agents, frequently an adult child to act on your behalf. The agent can be empowered to take any action on your behalf or may be restricted to particular activities. You will need a power of attorney because if something happens to you and you become incapacitated, the agent can pay bills, manage your assets and make decisions for you. The alternative is for your loved ones to have to go through a court procedure in which a judge must determine that you are incompetent and then have someone appointed to act on your behalf. This is referred to as guardianship in most states. In an ideal situation, you can make things easier for your family members during an otherwise difficult time by allowing the power of attorney to take over smoothly and manage your affairs seamlessly because you are no longer able to do so. You need to ensure that you have selected a person who is confident serving in this role and one who gives you a lot of peace of mind about the process. There are two major types of durable powers of attorney that can be essential for estate planning purposes. They should always be executed as part of a comprehensive estate plan that has put together by a knowledgeable attorney. First of all, you may use a durable power of attorney for asset management which gives an empowered agent the authority to make financial and legal decisions on behalf of the principal. You might instead choose to or in conjunction with also use a durable power of attorney for health care. 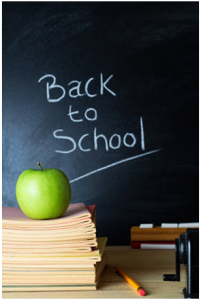 This gives the designated agent the opportunity to make healthcare decisions on behalf of the principal. It is necessary to have a conversation with your designated agents about the importance of these documents and that person’s responsibility to act in your stead, if necessary. Many people may opt to select the same agent for both documents but you can choose different people if you wish. These legal documents should be prepared well in advance before the principal individual starts facing challenges with various areas of their life. Having a conversation with the potential agents can also ensure that the agent is indeed interested in serving in such a capacity in a durable power of attorney. This can give you peace of mind for you and your family because of the protection provided for you, your heirs and the assets that you have worked so hard to develop and save. A power of attorney refers to your written approval for someone else to act on your behalf in business, legal or private affairs. Many people overlook the benefits of a power of attorney because they assume that the primary aspect of estate planning is to handle things after you pass away. However, this could be a major mistake as incapacity or disability can happen at any point during your life and not having someone to step in and manage your affairs can create further confusion and problems. • Durable power of attorney, which allows another individual the authority to manage financial transactions on your behalf. This allows you to appoint someone else to manage all of your financial affairs if necessary. • A healthcare power of attorney that enables you to allow someone else to oversee your medical care and make healthcare decisions on your behalf if you are unable to do so. • A springing power of attorney. Much like a durable power of attorney, this allows you to appoint someone else to handle your financial affairs and this can only happen when there has been a triggering event such as your incapacitation. To learn more about various powers of attorney, reach out to the offices of an experienced New Jersey estate planning attorney today. 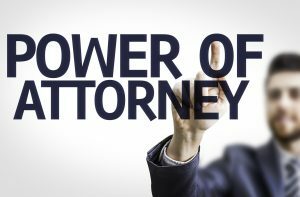 What Powers Should I Consider Giving to My Power of Attorney Agent? 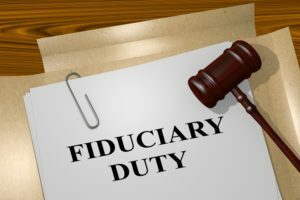 In addition to managing your financial affairs on a day to day basis, an individual appointed to represent you can also take steps to implement your estate plan, depending on how you structure your power of attorney. A power of attorney is a crucial document in your estate planning, but it’s one you should not put together unless you work directly with an estate planning attorney. There’s a lot of peace of mind in knowing that you have chosen someone to step in on your behalf if you are unable to do so, but this appointment also comes with a lot of responsibility and is thus a decision you should take seriously. An agent is usually unable to revise your will on your behalf but an agent can still impact the outcome of how assets are distributed by changing the title associated with those assets. This is why it is always a good idea to stipulate in your power of attorney whether or not you want an agent to have these powers. Gifts are another important aspect of many estate plans. Your power of attorney agent can frequently make gifts on your behalf so long as he or she remains subject to guidelines that are structured in the power of attorney. In addition to making gifts on your behalf and impacting how assets are distributed, the laws in your state may also allow you to give your power of attorney real estate management powers if you do own a vacation home or valuable personal property. Talk to your estate planning attorney to learn more about this process. You should never underestimate the impact that selecting a person to serve as your power of attorney agent could have. This person may play a significant role in your life down the line, so it’s essential to think carefully before making this decision. The following tips might help you make this decision. Having all the facts gives you the best chance to make an informed choice. Most people consider or select a family member to act on your behalf. Make sure that if you name more than one person in this role that not all may be available to make decisions at the same time. This same group of people might not agree, either, which is why it’s strongly recommended you name one person and a contingent agent. Make sure the individual you select is aware of your decision and is someone you can trust. Since this person may be making decisions on your behalf, you should feel completely confident about his or her ability to carry out decisions with your needs in mind. This person should also be accepting of the authority offered by a power of attorney role. Some individuals may be uncomfortable with serving in this manner, so make sure that you act first. Update your POA designation if your feelings change or if the original person is no longer able to fulfill this role. A POA is only valuable if kept current. To learn more about New Jersey estate planning, contact our firm today at info@lawesq.net. One of the most important parts of your lifetime estate planning has to do with a power of attorney. This document gives one or more individuals the authority to act on your behalf as your official “agent”. You can give this individual narrow power s or you can give them broad discretion over acting in your capacity. If you wanted to limit their powers, for example, you could stipulate that this person only has the authority to act to help close the sale of your home. This power, too, can be temporary or permanent, based on your needs. Many people choose to have the power of attorney be “triggered” by a certain type of event, such as your incapacity. This is referred to as a springing power of attorney. Choosing the right person to serve as your agent is an important process, especially if you are electing powers with broad latitude permanently. You should consult directly with an estate planning lawyer to learn more about how the power of attorney will impact your life and what powers you should include within this document. You should carefully weigh your options when putting together a new power of attorney. Getting advice from an outsider can help you avoid costly mistakes and have the peace of mind that you have made the right decision. Call us today to discuss your power of attorney or schedule an appointment over email at info@lawesq.net. Can Only One Child be Given Power of Attorney? For those parents who have multiple children, estate planning is often a matter of attempting to determine what distribution of powers will be perceived as ‘fair’. The reality is that different children have different interests and skills that make them appropriate for various estate planning responsibilities. A recent article discusses how to divvy up estate planning powers between your children. This decision may be an easy one. For example, if all but one of your children has moved out of state, it makes sense to name the local child as your power of attorney. However, if the local child is irresponsible or untrustworthy, somebody else should be named. Sometimes it is easier to first consider which children should not serve as your power of attorney. Your power of attorney will be responsible for making financial and legal decisions on your behalf. Some children are simply not cut out for this task. If you have more than one child who you believe could serve as your power of attorney, it is possible to draft several limited powers of attorney to spread out responsibility among your children. For example, you could assign one child to tend to your business affairs and another to handle your personal financial affairs. 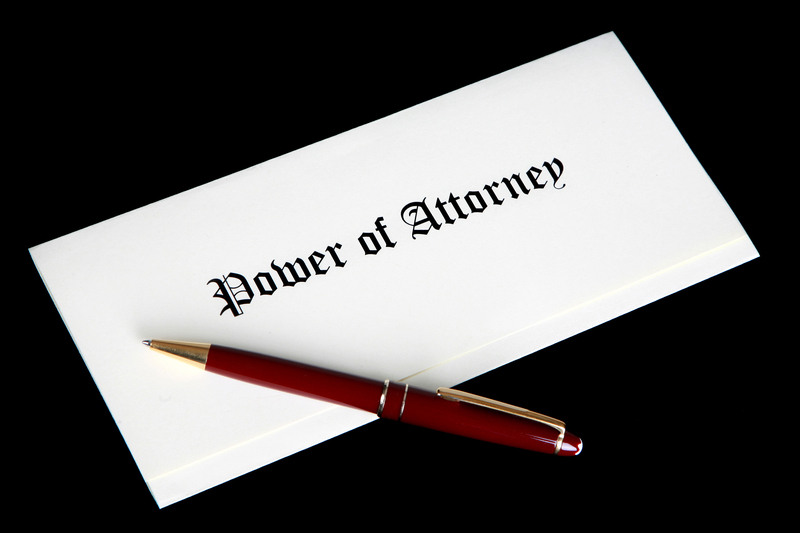 For assistance in setting up a power of attorney, please contact us at 732-521-9455. A majority of adults find it difficult to discuss financial issues with their aging family members. Although these are often difficult and uncomfortable conversations to have, they are often necessary. Moreover, it is important to have these conversations with your parents early, before they become unable to handle their financial lives. A recent article discusses how to start this conversation, and what topics to cover. One way to ensure that you bring up this topic is to make an appointment with yourself to do so. 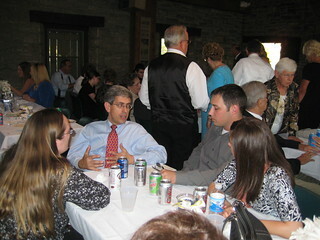 A good idea is to plan the discussion for after a family gathering such as a birthday party. This way, other family members can join in the conversation. If you believe that your parents and family members will be receptive to the idea, select a date and time and then invite them to join in on the conversation. During the conversation, it is important to discuss several different aspects of your parent’s estate. The first aspect is legal. 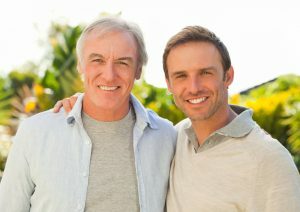 Determine whether your parent has done any estate planning. 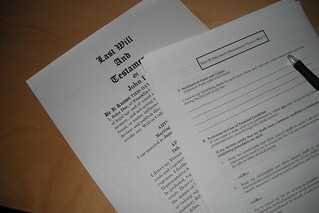 If yes, ask where the legal documents are and what estate planning tools are employed, such as wills or trusts. Your parent may also wish to explain any distributions. Another important aspect to discuss is healthcare. Determine what types of health coverage your parent has aside from Medicare. This may include long term care insurance, or simply some money set aside for anticipated health care costs. Finally, determine whether your parent has executed a health care power of attorney. If he or she has not, encourage him or her to do so. This will be an essential step should the time come when your parent is unable to make their own decisions on their healthcare. For members of the baby boomer generation, estate planning is about more than organizing their financial affairs. Many Boomers wish to create estate plans that leave a legacy and make a difference in the world. However, when considering these estate planning goals, Boomers might quickly become overwhelmed with the task at hand. A recent article offers simple tips for Boomers to get started on their estate plan and create their legacy. The first step in creating an estate plan is making a list of all of your assets. This list should include all real estate, valuable personal property, insurance accounts, retirement accounts, the value of any trusts, and any amounts you expect to receive before you pass on. When making this list, be sure to note if any of these assets are tied to debt, such as a mortgage or lien on a home. After you list your assets, consider how you would like to distribute them, and who you would like your beneficiaries to be. Next, consider who you would like to serve as your financial power of attorney. This is the person who is tasked with managing your financial affairs should you become incapacitated. Remember that incapacity can take many forms, such as mild dementia or an intensive hospitalization after an accident. You may limit this power if you wish. For example, you could provide a limited power of attorney to only handle your small business. With these important decisions, creating an estate plan will be essential in detailing your wishes should you become incapacitated.